There are lots of online estate agencies available these days that allow you to essentially sell your house yourself. Now this can certainly save you an awful lot of money and I’m all for that, but selling a house well isn’t something that just anybody can do. Of course I’d like to think I sell houses pretty darn well, so I’d like to offer some quick tips to dramatically improve your chances of selling well. 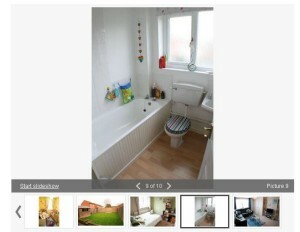 This is from a real life Rightmove listing! Don’t just hunt through your digital (or shoebox) archives like the people on the left did and find any old photos that vaguely show the house. Why are there people on the trampoline? And what is that big blue thing? 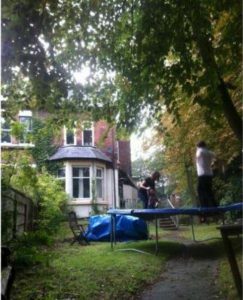 This is NOT how you photograph your garden for a sales listing. Selling the most expensive asset you’ll probably ever own deserves a bit of effort, don’t you think? Take at least one photo of every major space on the property, aiming to use between 10 and 20 images for the listing. 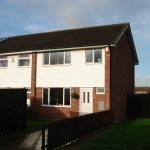 Do a search on Rightmove or Zoopla to see what other houses for sale in your area look like. These will be your competition when you hit the market, so take note of the photos that look great and try to get that feel into your own photography. This may be staging with flowers, lamps or other accessories, striving for a certain type of light, or the angles that you feel show the spaces off well. Get used to looking at how other people do things, because this is what your buyers will be doing. I’m not going to go into detail here about how to do this, but do spend some time tidying, cleaning, removing unnecessary or over-personal items. The more prep work you do, the easier it will be to sell in a timely fashion, for the price you want. 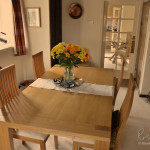 Imagine you’re preparing for a guest whose opinion really matters to you (potential buyers’ opinions do really matter! You’re trying to persuade them to part with hundreds of thousands of pounds!!) 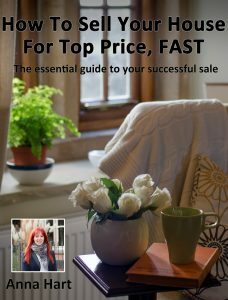 If you’d like more help on this, my book “How To Sell Your House For Top Price, Fast” will tell you everything you need to know. I will just say this though: I do not want to see any bins, toilet brushes or bleach bottles. Oh and put the lid down people! Blue sky shots will always catch the eye more than dull grey skies will, so try your best to get this advantage. Look at the orientation of your house – which way does the front face? When will the sun be on it? Then look at the weather forecasts and be ready with your camera when the sun and sky are due to be at their best for your image. You may have to try a few times, but it’s worth it I promise you. 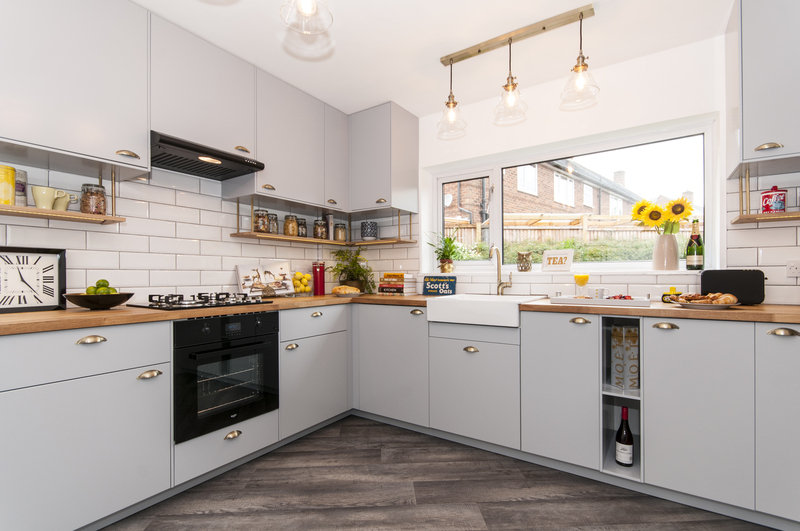 For interior shots, you actually don’t want a really bright day – it creates glare and too much of a difference between light and shadow and us amateur photographers just can’t deal with it! An overcast day is better for us, but do switch on every single light so you don’t get flat images. Bear in mind that your photography may have to take place over a number of days. For your exterior house shots, try to get yourself up a bit higher than your normal eyeline. Can you see in the grey/blue sky images above how the blue sky image shows the house more in proportion because you can see the roof? Someone once said to me that ‘houses are like ladies, they don’t photograph well from below’ and it’s true! Try not to be looking up at the house, and if you can’t get far enough back try moving off to the side a little. The opposite applies when you’re shooting inside the house – crouch down and take your photos from around door handle level. 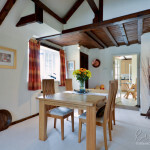 This has the effect of bringing the viewer into the room more than if you took the photo from eye level; lower positioning leads to a more appealing shot, as you can see in these examples from my pro photographer Rob. See how the feature beams are totally non-existent in the left photo, and how much larger and brighter the room looks on the right? Pick your angles carefully to show off the best features of each room – this will usually be from the doorway but don’t assume that’s the best angle. Some rooms will need multiple angles to show them off well. 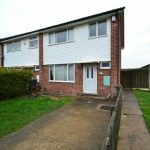 Rightmove and Zoopla are where most people will see your property photography, and these sites only use landscape images. Portrait photos can be uploaded but they’ll be shown in the same landscape space on the page, which means they’ll look much smaller than the landscape images and this isn’t a good look. It’s also a waste of valuable space, so it’s best to only use landscape images. I usually start with the exterior front shot, unless the house is particularly ugly in which case I’ll put the most attractive interior shot first. If you do this, make sure the exterior front shot is there somewhere – buyers will be suspicious if it is missing completely. After your first shot comes the kitchen, living and dining rooms, plus any other major downstairs areas. Then move on to the master bedroom and any en-suite or attached spaces, followed by the other bedrooms in decreasing size order. Then the bathroom, and you can move on to the garden and other exterior spaces. Don’t assume everything will appear on your listing exactly as you think it will – CHECK, and change it if it’s not right. I hope this helps, good luck with your photo shoot!